This lab asks you to use both authentication and privacy with SNMPv3, so it takes a few longer commands compared to some SNMP configurations. Focus on the basics, because there are many basics with SNMPv3 configuration. 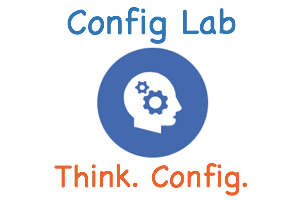 Especially for this lab, it is very important to try the lab first, to make your brain think through the options. access ServerOnly: references IPv4 ACL ServerOnly, which will be used to filter incoming SNMP messages. This ACL matches packet with source address 172.20.2.9, which is the SNMP server’s IP address. Also, this command can be the starting point for some common mistakes. In this case, note the absence of a write viewname set of parameters, which means that this group does not support writing to the MIB (that is, it does not support the Set command). Also, note that the use of the priv keyword on this command means that both auth and priv must be used on any snmp-server user commands that refer to this group. priv aes 128 mysecretpassword: defines that the user should use privacy, with AES using 128 bit keys, with a password of mysecretpassword. The third command is simple: it enables the router to send Trap (and Inform) messages assuming the rest of the related configuration in command 4 is completed. The fourth command is the one that defines whether Traps or Informs are sent (Informs for this lab). informs: keyword that tells IOS this command is enabling the sending of Inform messages rather than Trap messages. Youdda: defines the username (per the snmp-server user command) used for SNMPv3 authentication and privacy. Good day Wendell, thank you for this SNMPv3 2 valuable lab resource! I noticed that there is no explicit access-list configured in the answer, so I wanted to submit my config extract and gather your thoughts about it. As I fear that my ACL would deny all the other ip traffic coming in the referred-to interface, how can we best satisfy the requirement and allow only the mentioned NMS to send SNMP messages to the routers? Thanks for the note – glad you like the labs! First, on your suggested ACL: I like the ACL itself. However, you don’t need to enable it on an interface with the “ip access-class” command. Note that the reference to the ACL “ServerOnly” in the snap-server group command tells IOS to use that ACL to filter incoming SNMP traffic going to the SNMP server/agent in the router. Going a bit further, in fact, given that fact, you could just match the could host address, without even nothing to match SNMP ports, because by definition, it’s filtering only messages the router wants to pass to the SNMP agent. Note that I added a sample ACL to the config in response to your comment – thanks for letting me know. Finally, the lab post and this answer used some incorrect IP address references – I cleaned them all up. Some had used 172.16, some 172.20. The lab and answer should be consistent now. I confirm with you, the configuration of the snmp-server host statement should use the keyword “priv” not “auth”, otherwise communication fails, and without throwing up any errors! To confirm with Viktor, the configuration of the snmp-server host statement should use the keyword “priv” not “auth”, otherwise communication fails, and without throwing up any errors! Nice catch – I agree! Just changed it. Thanks much. Sorry to be a stickler, but as Viktor also mentioned, under the commentary, command 1 section the parameters, the keyword should be priv not auth. It’s ok, I learn more from finding mistakes than from getting it right first time. I don’t know why but when I configure the snmp-server group Certskills v3 priv with a read v1default access ServerOnly command. When I use the MIB Browser and click Get snmp variable it says request failed to Get response PDU from 172.20.2.2 error indication in response. There is no such object in this MIB. But when I take out the read v1default from the snmp-server group Certskills v3 priv access ServerOnly command. When I click on Get snmp variable I can get the status of the object Id without read v1default command. I just want to know why is it doing that? I am running on cisco 1841 router with IOS C1841-ADVENTERPRISEK9-M Version 15.1(4)M8. I missed this on both SNMP labs. So if I don’t put the SNMP enable traps but I put the snmp-server host (4th) command, what happens? Doesn’t the putting the snmp-server host command enable sending the informs? I need more explanation please. I haven’t tested that combination, and don’t have a place to do a quick test. That said, my expectation is that neither traps nor informs would be sent to the server. That “informs” keyword on line 5 of the example (4th line of config – the one you noted) means “when sending, use the inform message, not the trap message”. But you need “snmp-server enable” to enable the sending of either traps or informs.